Milwaukeeans are welcoming the Brewers home. April 3rd is opening day at Miller Park, kicking off the season facing off against the Colorado Rockies. 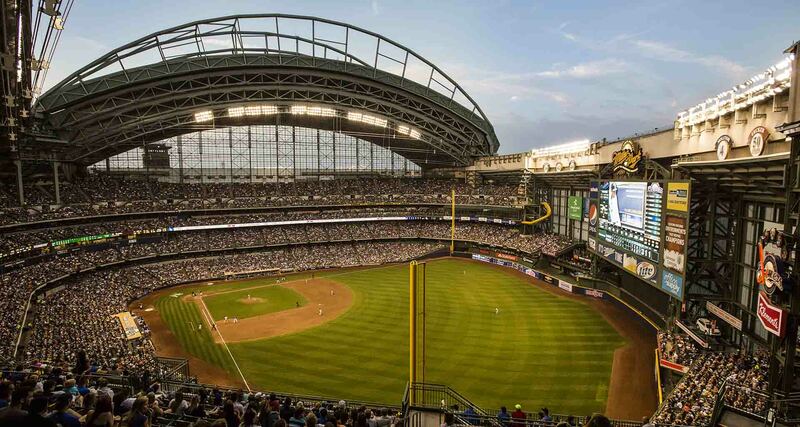 If you want to be there in person for the big game, you can purchase tickets to the game on the official website of the Milwaukee Brewers. If you’re into real pregaming, here’s a short list of bars in Milwaukee that do Opening Day right! Who’s On Third’s 3rd annual Opening Day Tailgating Extravaganza! Enjoy a shuttle to Miller Park leaving at 9am, access to a private keg and bar at Miller Park, burgers and hot dogs grilled on site and much more! To purchase tickets click here. Unlimited beer, liquor, brats, hotdogs and burgers! Shuttles begin at 9am. To purchase tickets click here. Grab a drink, appetizer or a meal to receive a wristband which gives you access to their shuttle service to Miller Park. As always, The Plaza Hotel is excited for Opening Day and the upcoming season ahead! Keep us in mind when planning your trip to Miller Park.